Tasmania is Australia's island state and has a population of around half a million people. 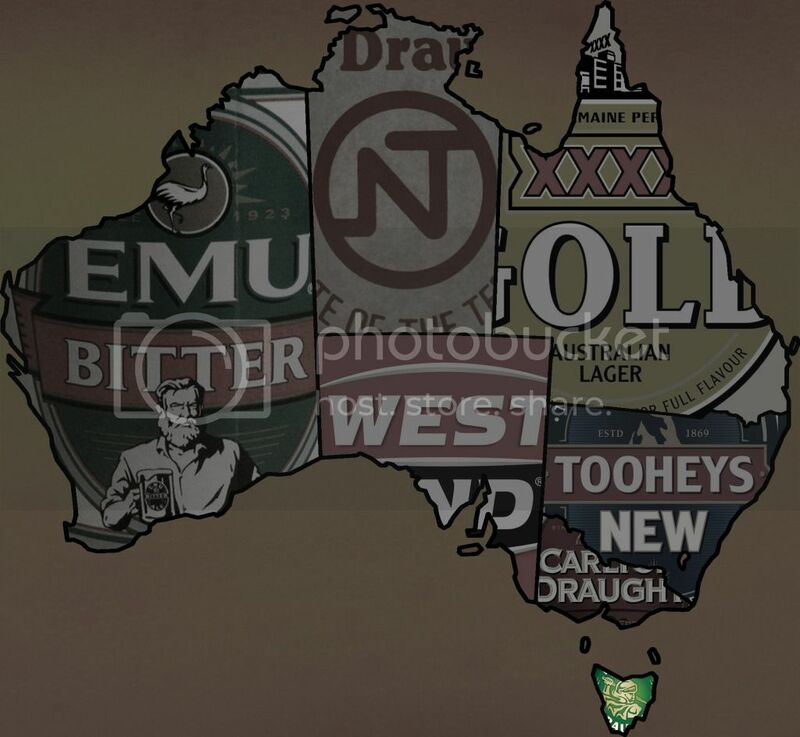 Geographically it is the 'apple isle' is the smallest state (ACT is a territory) but this doesn't stop them producing beer that sells well across the entire country. 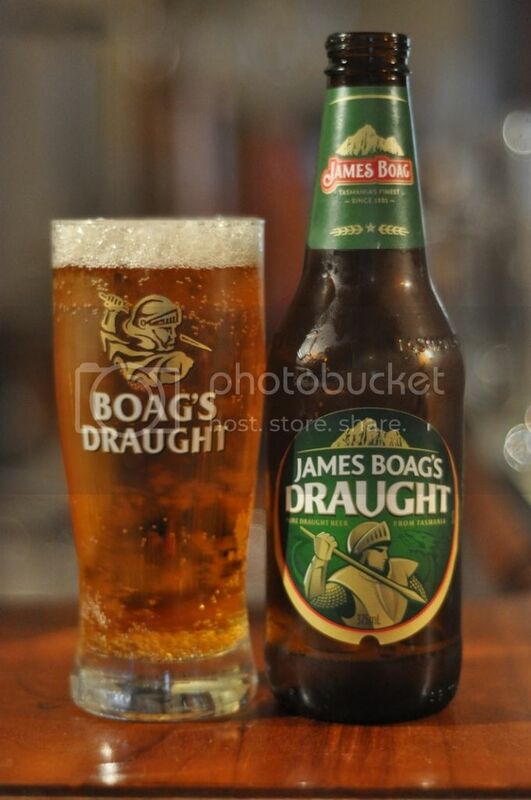 James Boag's Draught is the states biggest selling beer. 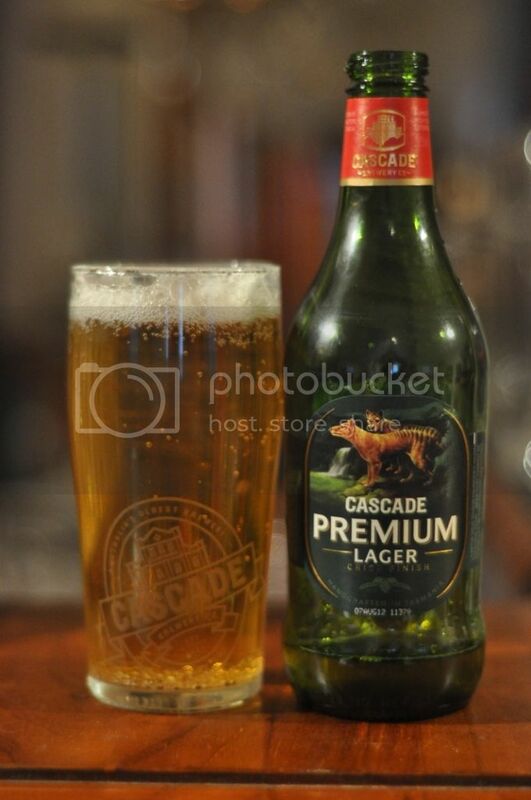 Hobart's Cascade Brewery provides the second macro lager for Tasmania. Cascade Premium lager is surprisingly hard to get considering that the light beer is the most successful light beer in Australia. 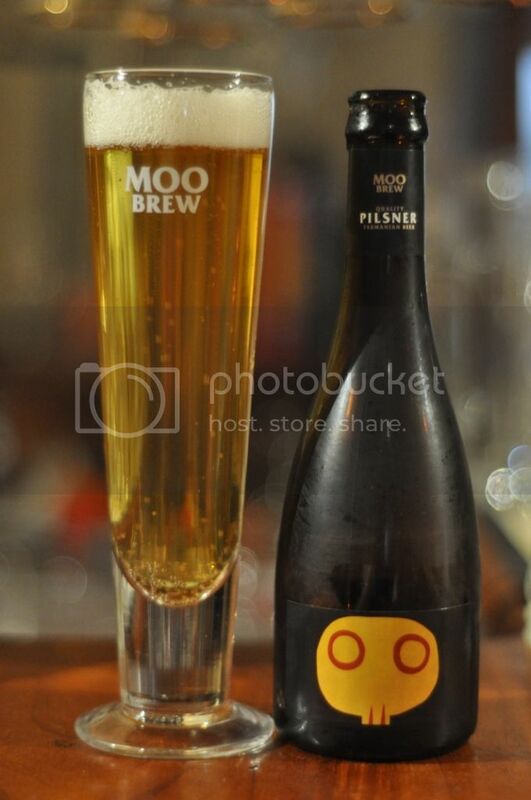 Moo Brew Pilsner will be the craft lager for Tasmania. This lineup is capable of taking out the True Brew title on Beer O'Clock Australia. Before this blog segment, Carlton Draught aside, James Boag's Draught was my pick to take out the title as best Australian macro lager. Boag's is brewed in the northern Tasmanian city (well large town) of Launceston. The pour is a nice deep golden colour with plenty of carbonation rising to a good head. This doesn't look as cheap as some of the other state's beers. James Boag's Draught is a clean smelling lager, which again has that little bit more quality than a number of other Australian macro's. It's pretty clean and has some nice fruity hints. The flavour is similiar, reasonably fruity and with some nice hop bitterness. The beer goes down very easily and would make a fantastic session beer (actually I know from experience that it does!). Tasmania's capital Hobart is the home to the iconic Cascade Brewery. 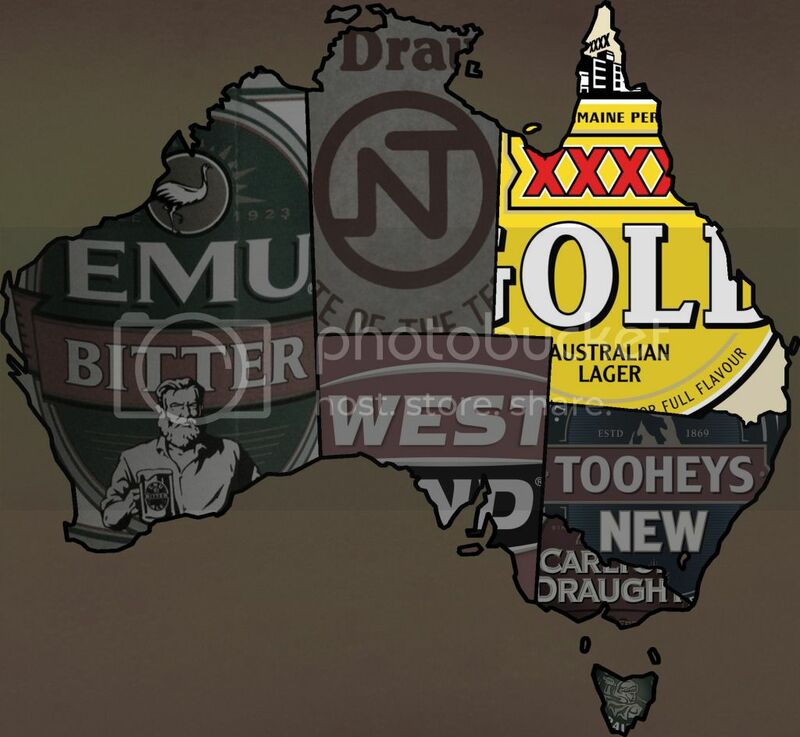 The brewery is also Australia's oldest continually running brewery, first opening it's doors in 1824. The pour is light straw colouw with a thin white head on top of the beer. Cascade Premium Lager seems to have a fair amount of carbonation and the head retention is reasonable. Cascade has a typically Australian malty aroma, with bitter grainy elements dominating the nose. There are some spicy hops towards the back end of the nose, which adds an element of class to this beer. The flavour is actually a little sweet and the beer has slightly too much carbonation. There are some nice spicy towards the back end. It's a nice mid-range lager. I was introduced to Moo Brew last year when the brewery was on tasting at my the store. I was quite impressed by most of the beers with this one of my favourites. The brewery is located at the MONA in Hobart and is a work of art in it's own right. The pour is disappointingly yellow with a fair bit of carbonation rising to a fast fading head. This is a typical Czech pilsner with a fantastic nose of hay and and tropical fruits. The taste is incredibly fruity at first and is almost sweet. There is some bitterness coming through towards the backend of the palate, but there is little to no bitterness coming from the hops which seemed very restrained. Moo Brew Pilsner doesn't quite have the smoothness or sessionability of some of the other lagers but this isn't surprising for a craft lager.